What you might not know about the war on drugs is just how expensive it is, and just how much the DEA are spending. Each time you bring home a paycheck you probably notice the federal taxes that are withheld. In part, these taxes are used to help the federal government pay for the war on drugs. The war has long been criticized for sloppy spending and its relentless focus on marijuana. Charged with battling the war on behalf of the federal government, the DEA is given a hefty budget to use as they see fit. What you might not know about the war on drugs is just how expensive it is. The policing of marijuana in states that have created legislation allowing cultivation and use of marijuana has become alarmingly expensive. Nationally it costs the DEA an average of $4.20 (Ironic I know..) to remove and destroy a marijuana plant, but in 2014, according to a recent Washington Post story, it cost the DEA $60 to destroy each plant in the state of Oregon alone. This year, the DEA has budget $760,000 to destroy marijuana plants in Oregon. They will use these funds to fuel helicopters that search for marijuana grows, and then ultimately man hours to literally uproot the growing plants. Many Americans do not understand why the DEA commits excessive time and money policing victimless crimes like growing and using marijuana. The DEA believes that their efforts are not necessarily to stop the legal cultivation of licensed marijuana facilities but to eliminate Mexican cartel involvement in the grows. The connection between legal marijuana grow facilities and cartels is not a pretty thing. There have been cases in Colorado, Washington, and Oregon of cartel involvement, but they are very isolated. 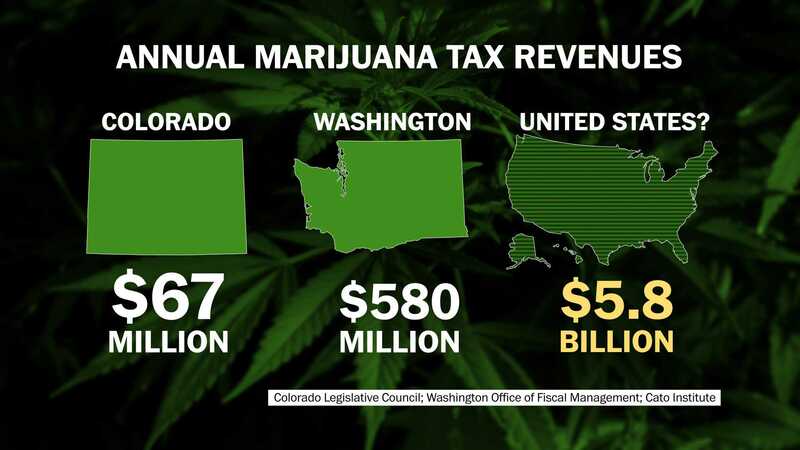 In 2014, Colorado generated $44 billion in tax revenues from the sale of marijuana. The federal government spends roughly $18 million a year just on policing marijuana. The numbers speak for themselves. If a single state can generate more revenue in taxes from the sale of marijuana than the entire DEA budget to prevent it, then why do they even bother? DEA resources would be put to far better use in providing security for legal grows across the nation. Rather than hunting down marijuana grow facilities, perhaps the DEA could embrace marijuana and thus earn the trust of the industry. An increased level of trust between state and federal government, regarding marijuana, would allow authorities to sincerely focus on policing illegal possibly cartel-related marijuana cultivation. Until there the federal government legalizes marijuana use and cultivation, the DEA will roam the skies like ravenous crows. State initiatives are surging in their efforts to defund the DEA’s war on marijuana and also to persuade the President and Congress to repeal unreasonable marijuana laws. What do you think about the DEA’s wasteful spending? Let us know on social media.